Ever fancied a career in comedy? 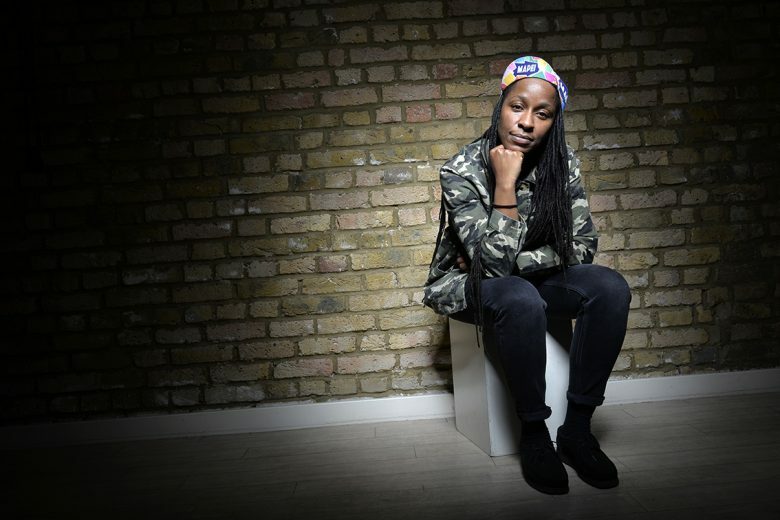 Twayna Mayne, Time Out magazine’s ‘Star of the future’ is performing her debut hour ‘Black Girl’ at the Pleasance Courtyard in the Edinburgh Festival this August. We spoke to Twayna to find out how she got into comedy seven years ago, why she’s been so successful when so many others have given up, and what advice she has for other aspiring stand-ups. When did you realise you were funny? At school I was always the class clown, and didn’t really concentrate a lot; I preferred to mess about. I realised that I knew how to make people laugh from the age of seven. Did you always want to be a comedian? I sort of fell into stand-up by accident, and I’ve just kept doing it because I know how to do it and I enjoy it. And I’ll keep doing it until I don’t want to do it any more. So how did you get started in standup? In 2010 I was looking for an evening course in comedy writing. The one I wanted to join was over-subscribed, but there was one space left on the stand-up comedy course, so I thought I’d do that instead. There were 20 of us on the course at the start, and by the end of the 12 weeks there were 16 of us left. In the course there were the funny lot and the unfunny lot, and I was in the funny lot, so I thought I must be doing it right! At the end of the course we held a showcase and invited friends and family. That was great – really friendly and supportive. Once the course was over, we then had to go out and look for open mic nights. I’ve been doing stand-up regularly since then. How easy has it been to build a career in stand-up? It’s not easy; I’m the only one from my course still doing it seven years on. You have to be quite resilient. You need to understand that it’s not going to be easy and have confidence. Sometimes you’ll have an awful gig and wonder why you’re doing it. But you need to remind yourself that you can make people laugh and carry on. You also need money. You won’t make an income from comedy when you first get going, so you need to make one from somewhere else. I have a day job, so I don’t have to worry about money. Have you had to sacrifice anything for your career? You have to give up your time and be prepared to make sacrifices to build a career in comedy. I was resilient enough and selfish enough to be able to do that. Comedy definitely takes its toll on relationships and friendships; my group of friends has shrunk over the years. In the early days friends would come to a few gigs. But open mic nights aren’t fun. They’re long and there’s not a lot of laughter – people use them to try out jokes and acts. Friends could sit there for hours just to watch me perform for five minutes (and only one minute of that actually be funny). Things only get better when you start getting longer gigs with 10 minute slots, but you usually have to wait a couple of years to get them. People are supportive, though. And everyone’s lives get busy in different ways as you get older. Now that I have an Edinburgh show, people are rallying around. They get what I have been working for. Have there been any hard moments along the way? When you get to do nice gigs there are perks to being a comedian. But there are other nights when it’s cold and raining and you have to go out and perform, just to try something for 10 minutes. Other nights you have to get on a train and go home after not having a brilliant gig, then get up and go to work the next day. I don’t mind when people don’t laugh at my jokes. You might know something is funny, but you just need to get it out of your mouth to see if it works. You might need to practice it and say it a few times to work out the right wording of the sentence before it’s really funny. Why have you been able to stick at stand-up when others have given up? I don’t know. I just think maybe I secretly I know I’m quite good at it. I have self-confidence and am self-aware. If I need to stand in front of a group of people and make them laugh I can. It’s also tough for women; we aren’t taught to blag it. But I made the decision a few years ago to do comedy like a man does it. So I will go and ask people for gigs. All they can do is say yes or no. And if they say no, I just ask them again three to six months down the line. You have to get used to the fact people will say no, and it can be awkward. No one likes to feel uncomfortable. But doing stand-up is awkward, and if you can feel awkward and be okay with it, you can do anything. I remind myself that there are different levels of discomfort. And someone saying no is not the worst level of discomfort. It’s a 1 out of 10, so it’s really not that bad. Has being a black woman helped or hindered your career? I know I’m novel as a black woman; there aren’t many of us in that space. For the most part it’s been fine. But are some gigs when you go on stage and the audience aren’t sure what to make of you. No one has ever said anything to my face, but there’s been a few gigs where, and usually it’s a guy at the front, there’s one person in the crowd who clearly doesn’t like you. They’re not smiling and they’re sitting with their arms folded. You don’t know if it’s because you’re black or a woman; they’re just not impressed with you being there. When this happens I think: “I’m now going to make the whole room love me, and you’ll be the only one not having a good time”. If they’re like that I’m not interested in that one person having a good time; I can deal with that. When I was growing up I used to like watching French and Saunders. And I really like Gene Wilder and Buster Keaton. I watch shows in Edinburgh, but outside that I don’t really watch stand-up myself. As a comedy person I’m not really that comedy savvy. What about your earlier ambition to write? Stand-up is fun, but I’d like to write stuff for other people to perform too. I think that’s quite special. Lots of people use stand-up for different routes into stuff. It’s a good way to be seen. It’s also quite easy to be found out if you don’t have what it takes. What advice do you have for someone who wants to get into stand-up? Some people don’t agree with stand-up comedy courses, but I think they’re useful. Try to find an evening course that is at least six weeks long. They’ll teach you how to understand jokes and build your five-minute set. Then sign up to an open mic night and give it a go! It will be awkward and uncomfortable, but you’ll make friends along the way. The hardest thing is to start, but once you have you’ll get more resilient and hone your craft. If you think you’re funny just give it a go. And finally, what do you want to be doing in five years’ time? I’d still like to be doing gigs, but nice ones. And be writing comedy for TV and radio. Maybe Coronation Street too; for a soap opera the tone is perfect. Twayna Mayne’s show ‘Black Girl’ will be at The Pleasance Courtyard – This, for the month of August at the Edinburgh Festival. Book tickets here.